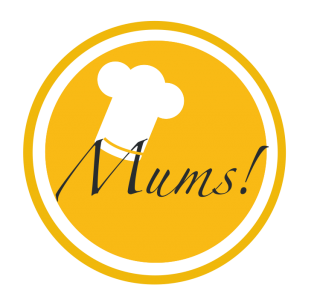 My favorite Finnish beverages – Mums! Today was the last day of our Finland vacation – time to recap (and to get sentimental): We’ve spent quality time as a family, shared experiences and created memories for the future. We’ve talked and laughed with dear friends and relatives. We’ve been blessed with the most beautiful weather with temperatures reaching +30°C. The sea water has been pleasantly refreshing and without algae allowing us to swim multiple times a day. We’ve eaten and drunk in the lap of luxury. Every. Single. Day. Bilberry soup – The gorgeously purple bilberry soup consists of bilberries (obviously), sugar, water and potato starch. It can be enjoyed warm or cold; as is or, for instance, with porridge. Technically, bilberry soup is not a beverage, but I – as many others – usually drink it. Bilberries are said to have a healing effect on an upset stomach. I drink bilberry soup because of its comforting taste, though. Piimä – Liquid dairy products are really popular in Finland. The annual consumption per capita amounts to incredible 155 litres. Piimä is the drinkable cousin of viili. It’s a fermented milk product, which resembles cultured buttermilk. The consistency is thickish and the taste slightly sour. I find piimä quite refreshing and consider it kind of a natural yoghurt smoothie. Brewed coffee – Did you know that Finns consume 12 kilograms of coffee per person and year? Brewed coffee, that is, made from light-roasted beans with a light acidic taste. It took me some time before I learned to like it, as I’m more of an espresso drinker. Now, I can’t imagine my Finnish coffee in any other way. Beer – Finns love their beer. After work. In the sauna. Or for the purpose of kalsarikännit. I’m a huge beer fan and like beers brewed by small breweries the most. Like Rousal Brygghus’ fantastic pils, ale, lager, IPA, chai porter and my favorite: weizen with sea buckthorn. Lonkero (Gin Long Drink) – This pre-mixed, ready-to-consume gin long drink in a can – originally a blend of gin and grapefruit soda – was created for the 1952 Summer Olympics in Helsinki. Over time, a lot of alternative blends were introduced (based on fermentation rather than spirit or with lemon, orange or cranberry soda rather than grapefruit soda). At the same time, the English term “long drink” was replaced by the local word “lonkero”, which literally means tentacle in Finnish but actually is an evocation of “long” as per similar pronunciation. My favorite lonkero remains the Original Long Drink produced by Hartwall. What’s your favorite 🇫🇮 beverage?